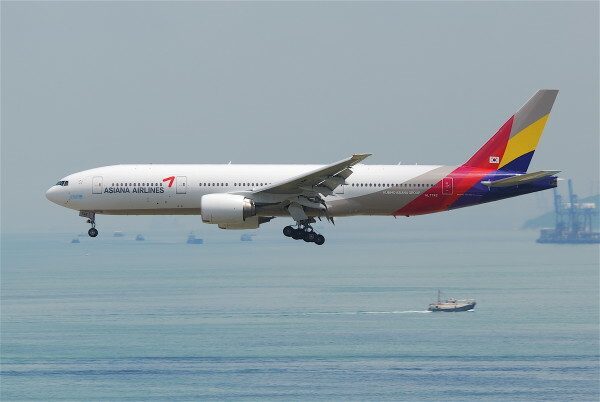 We all recall the day when a Korean plane crash-landed at San Francisco Airport last July. During that day and the next, this Reading Room was open to many who were seeking the words of comfort and safety Christian Science has to offer. There were others who expressed gratitude for our presence here at SFO and spent time praying in our peaceful study room. Others heard words of comfort and hope from the hearts of our attendants. A Nigerian woman asked If it cost anything to read here. I assured her that she could remain as long as she wished. After reading the Bible for a while, she came out asking about Christian Science. I shared the basics of Christian Science and the many healings that I had experienced during my many years as a Christian Scientist. She said she had never heard of Christian Science before but it is what she had been seeking all her life. She bought 2 copies of Science & Health. She was delighted to learn there are 24 Christian Science churches currently located in Nigeria. She was all joy as she left. An airline employee came in saying she had often passed by thinking she should come in. She soon learned why she finally did. Our conversation led her to sharing some physical challenges that brought much fear to her thought. The basics of Christian Science were explained, to which she responded with grateful tears in her eyes and asked to hear more. I then shared testimonies from our periodicals of over 140 years of Mary Baker Eddy’s and other Christian Scientist’s remarkable healings. She soon came to see that the body responds to thought. She didn’t hesitate to purchase a copy of Science and Health saying that God must have given her the impulse to come in today. A visitor said he had a serious heart condition and doctors hadn’t been able to help him. After hearing the basics of Christian Science he asked, “Is what I’m hearing in that book?” I responded, “Yes and much more.” Without hesitation, he bought the book. A man said he had no interest in religion and only came in to wait for his flight. As we chatted, he alluded to his wife’s aggressive allergy. It covered her arms entirely and gave her much discomfort. I shared my healing of a cat allergy that I had suffered for 13 years. I then read from Prose Works, “No evil can enter a mind filled with good … clad therewith you are completely shielded from the attacks of error of every sort.” (Miscellany:210) My visitor began to understand the spiritual truth that wrong thoughts cause problems and right thoughts about God and man heal them. At this point this man smiled for the first time. He purchased Science and Health and 2 Monitors and then he gave a generous donation to the Reading Room. He walked out a very different man from the one that entered. A lady from Greece shared her sad case of living with her son who consumes large quantities of alcohol and drugs daily. He blames her for the treatment suffered from his father while growing up. I shared this: A friend of mine was alone one evening and in bed when a man entered her room apparently through a basement window. As he advanced toward her bed, she said, “Have you any idea how much God loves you?” The man stopped and stood still a moment. He looked at the woman and said, “Thank you,” and he walked out and was never seen again. I suggested she share this with her son, letting him know that God is his only father/mother who loves him. who cares for him, and supports him. He needs to drop this nightmare and embrace his true parent. My visitor bought Science and Health and left with tears of gratitude. This visitor came in asking for a brief explanation of Christian Science. I shared the simple basics of Christian Science and followed with a few testimonies of healings I had experienced in my life. The more I shared; the more interested he became. He finally felt he needed to confess that he was diagnosed as HIV positive. “Could Christian Science heal this?” he asked. I told him this: God is Spirit and you are His precious son – His spiritual image and likeness. You are not spiritual and something else. You are spiritual and nothing else. Once you know who you are, you will never again be concerned about who you are not. With a big smile he asked, “That’s Christian Science?” I said, “It certainly is but you will learn a whole lot more if you read Science and Health.” He bought it with such gratitude. By the way, this was the week the Christian Science Monitor’s lead story was about how Africans are now handling the claim of AIDS. This was one happy guy when he left the Reading Room. What a privilege it is to witness the unfoldment of God’s holy work in this beautiful Reading Room.